There are two different types of stainless steel scrap. Austentic is Non Magnetic steel scrap and Martinsite is magnetic steel scrap. Short on time? 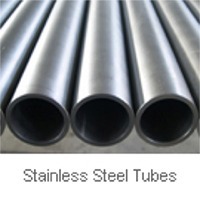 Let stainless-steel-scrap sellers contact you. 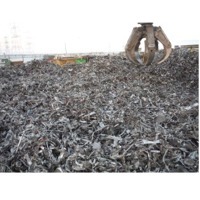 We are pleased to offer you 25 MT Mix Shredded Stainless Steel Scrap (Auto Residue) as per below attached Pictures & below details. Payment Terms: 30% Advance, Rest on BL Copy. Delivery: Within 14 working days from after receiving advance in our bank. 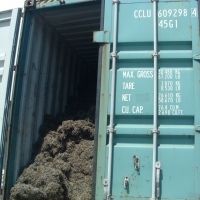 Loading: Average 25 MT/40FT Container. Material Origin: Kuwait Target Price: US$ 1100/- We are looking forward for your favorable consideration on this matter. Should you have any questions and/or concerns, Please feel free to contact us. 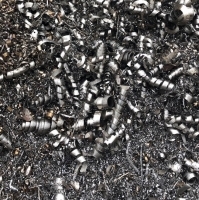 The Tire derived Steel, or Tire Wire Scrap is a light melting scrap obtained during the shredding process of used tires. 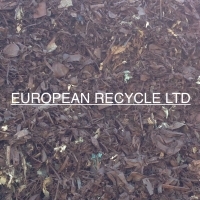 This material is a by-product obtained during the granulation process of waste tyres. Generally 10% - 20% of the weight of an old passenger car tyre usually consists of steel. An average shredding plant produces about 100-200 MT of steel tyre wire and its quality can vary according to technology, storing and management systems adopted by the producing plants. 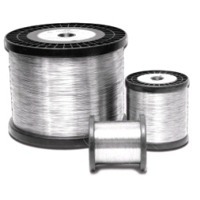 We can provide: - clean steel cord that is processed in order to reduce the rubber/fiber content - Tire wire scrap that still contains up to 20% rubber/fiber For further details please feel free to contact us. 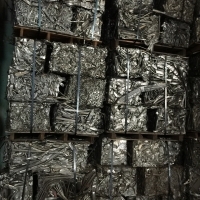 Shredded Stainless Steel Scrap material, Grade is 304 ( 18-8 ). 20 mt / 20 ft container. 1. Scrap with Ni0,5-1%, Cr 1-5%. - Amount - 500 tones\month 2. Scrap with Ni1-4%, Cr 1-5%. û 400 t/m 3. Scrap with (Ni 1-3%; Cr14-18%). û 30 t/m 4. Scrap with (Ni 4,8-6,3%; Cr 15-22%). - 20 t/m 5. Scrap with (Ni 6-8%; Cr 14-18%). - 40 t/m 6. Scrap with (Ni 8-11%; Cr 14-20%). - 300 t/m 7. Scrap with (Ni 11-15%; Cr 19-27%). - 60 t/m 8. Scrap with (Ni 17-21%; Cr22-27%). - 10 t/m 9. Scrap with Ni 22-25%; Cr 15-22%. - 5 t/m 10. 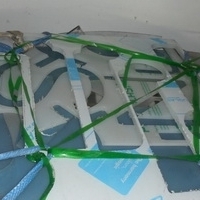 Scrap with Ni 26-28%; Cr 15-22%. 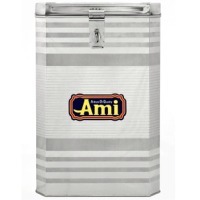 - 5 t/m 11. Scrap with Ni 29-33%; Cr 15-22%. - 4 t/m 12. Scrap with Ni 34-37%; Cr 15-22%. - 2 t/m 13. Scrap with Ni 38-40%; Cr 15-22%. - 1 t/m 14. Scrap with Ni 47-53%; Cr 15-22%. - 0,5 t/m 15. Scrap with Ni 54-57%; Cr 12-18%. - 3 t/m 16. Scrap with Ni 58-60%; Cr 14-20%. - 1 t/m 17. Scrap with Ni 70-73%; Cr 15-20%. - 6 t/m 18. Scrap with Ni 74-80%; Cr 15-22%. - 6 t/m 19. Scrap with Ni 88-92%; Cr4-8%. - 0,5 t/m 20. Scrap with Ni 94-100%. - 0,5 t/m Slagged separation: ò	0-10 mm with 15% of Fe - 3,000 t\m ò	10-20 mm with 40% of Fe	- 750 t/m ò	20-40 mm with 60% of Fe	- 1,800 t/m ò	Carbon srub - 4,000 t/m. 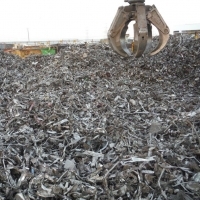 Stainless steel scrap We are mainly importing & supplying stainless steel sheet, plates, coil, hr/cr, seamless/welded, prime/seconds stock lots. We are regular supplier to major ferrous industries, foundries, steel plants & government plants all over india. 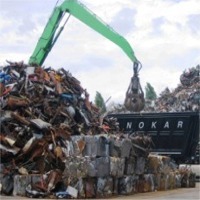 We also imports & supplies stainless steel scrap 304, 316, 310, 410, 430, 440 grade & other ferro alloys.